Our innovative program inspires early adolescent girls to excel as environmental scientists and stewards of New York City’s precious natural resources. We take middle school students on outdoor adventures in parks and along waterways after school and during the summer. Whether bird-watching, canoeing, conducting science projects or doing service, Green Girls develop a new understanding of natural ecosystems for girls, discover how they can create positive change within their environment, and learn about future careers in the sciences. Green Girls Summer Institute is a Science program that engages up to 30 middle school girls, ages 10-13, in five weeks of fun-filled outdoor adventures. Based in Long Island City, Green Girls travel to all five boroughs to study the dynamic urban forests of New York’s parks and waterways, encouraging them to realize their potential to create change within their natural environment and learn about future careers in the sciences. 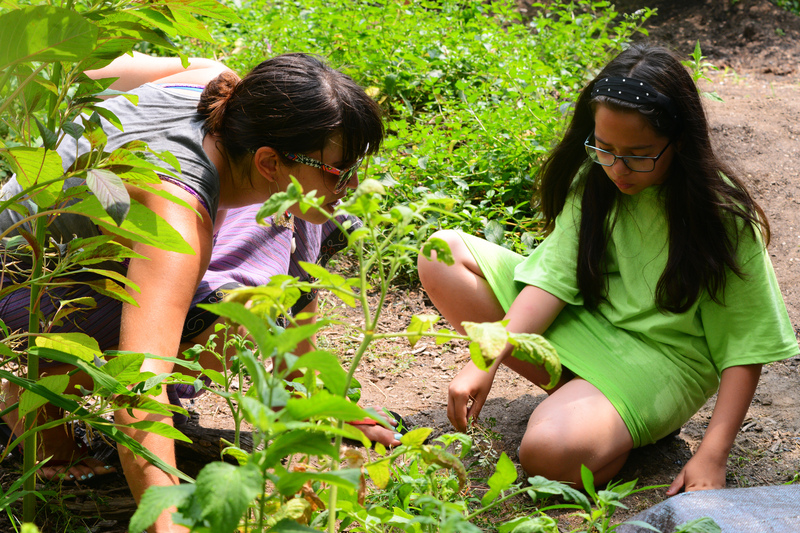 Whether bird-watching, canoeing, conducting science projects or doing service, Green Girls develop a new understanding of natural ecosystems in our city. Green Girls Science based program continues throughout the school year with free weekly sessions. Green Girls after school combines science, technology, interactive games and field trips that focus understanding of natural ecosystems in our city. Apply now for expanded programs in Queens, Brooklyn and The Bronx. For more information on Green Girls, contact Sam Schwartz at sschwartz@cityparksfoundation.org or call (212) 360-2746. Generous private support is provided by The Pinkerton Foundation, The Carroll and Milton Petrie Foundation, American Honda Foundation, The Barker Welfare Foundation, and Dr. Robert C. and Tina Sohn Foundation. Public support is provided by the NYC Council. In partnership with NYC Parks.